If you know AFB, then you know we love giving away prizes, and we've had some great contests and giveaways over the years. 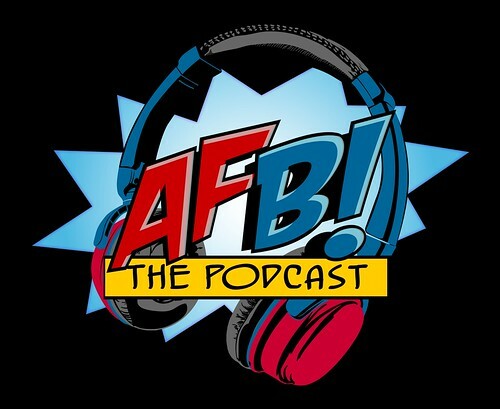 For the first contest for the AFB Podcast, we really wanted to pull out all the stops, and to do that we needed the help of the amazing Mike from Mike's Comics N' Stuff - and I can guarantee you he has definitely come up with something amazing! Whatever you choose, all you need to do to enter is send the proof to (such as a link) to podcast@actionfigureblues.com - all valid entries will go into the draw and the winner will be announced on Episode Five of here AFB Podcast. As for the prize, the winner will receive an amazing Prize Pack of toys from Mike's Comics N' Stuff. We'll give more details of the contents as time progresses, but rest assured this is an AMAZING set of prizes that will make any collector happy - far and away the biggest prize that's ever been given away under the Action Figure Blues banner. So, what are you waiting for? Get to pimping that podcast, and don't forget to send the proof to podcast@actionfigureblues.com to go into the draw! You have until we record Episode 5, so get moving! I was wrong. My favorite part of the show is when you put money and action figures in a box and post them to me! Just put up a YouTube video over on my blog revengefromthecosmicark.blogspot.com for the contest and to help promote you guys. Sent a couple PMs about it too hope you get them i was having computer problems.